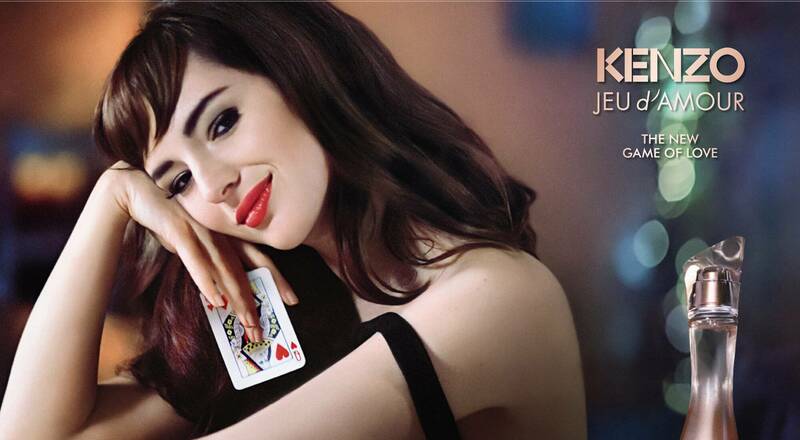 Kenzo Parfums chose the effervescent, offbeat personality of actress Louise Bourgoin to embody its new fragrance, Jeu d’Amour. Perfumer duo Daphné Bugey and Christophe Raynaud composed an explosive and delicious fragrance with notes of Pomegranate, Mandarine and Tuberose. This surprising creation is inspired by the captivating mystery of the game of seduction. Louise Bourgoin personifies this latest olfactory creation from the House in a cheeky, provocative campaign video. In a villa in Havana, the actress plays a mischievous game of poker with her lover where the loser of each hand has to remove a piece of clothing. The daring and intoxicating game resonates with the bright red lipstick worn by the face of the fragrance, reprised on the Jeu d’Amour box.